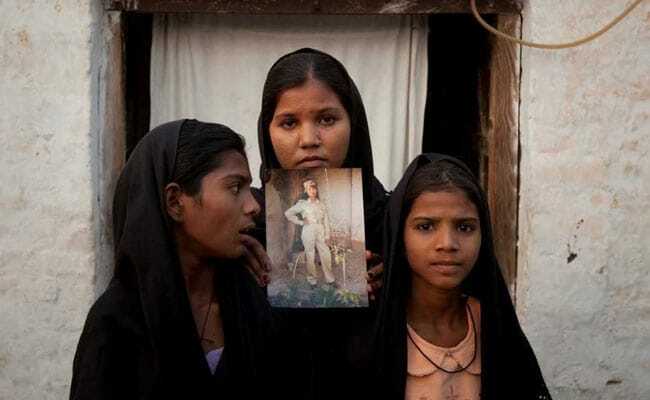 (Compiled from (from UK Express and UK Independent) – Asia Bibi, a Christian farm labourer who has spent the past eight years in solitary confinement after falsely being convicted of blasphemy, was acquitted by Pakistan’s Supreme Court on Oct. 31. Following her aquittal, infuriated hard-line Islamists held three days of nationwide protests demanding her execution. The enraged protesters torched scores of vehicles, blocked highways and attacked government and public property; a radical cleric also threatened to kill the three judges who acquitted Bibi. The Pakistani government has now been accused of caving in to these hardline Islamists by agreeing to stop Asia Bibi and her family from leaving the country following her acquittal for blasphemy. Under the terms of the deal made on Friday night, Prime Minister Imran Khan’s administration said it would begin legal proceedings to place Asia Bibi on the “exit control list” (ECL). It also agreed not to oppose a petition for a review of the Supreme Court decision to free the mother-of-five, who had been on death row since 2010. In return the Tehreek-e-Labbaik Pakistan party (TLP) issued an apology for any hurt caused during three days of nationwide protests and called for its supporters to disperse. Campaigners said putting Ms. Bibi on the ECL was “like signing her death warrant”. “I am not surprised that Imran Khan’s regime has caved in to extremists,” said Wilson Chowdhry, chair of the British Pakistani Christian Association. Ms Bibi, a mother-of-five, remains in custody at an undisclosed detention facility and her family are in hiding for their own safety. Her lawyer, Saif Mulook, has reportedly fled Pakistan for fear of his life. “I need to stay alive as I still have to fight the legal battle for Asia Bibi,” Mr. Mulook said. Ms. Bibi was arrested in 2009 and accused of insulting the prophet Muhammad following a quarrel with two fellow farm workers who refused to drink from a comunal water bowl used by a Christian. During the three days of protests, the TLP blockaded roads across major cities including Karachi, the eastern city of Lahore, and the capital Islamabad. Many schools were closed and mobile phone networks in some areas were suspended. Asia Bibi, a Christian farm labourer who has spent the past eight years in solitary confinement after being wrongly convicted of blasphemy, will almost certainly have to start a new life with her husband and children outside Pakistan, perhaps with new identities. She will spend the rest of her days looking over her shoulder in fear of an international assassin. And not just Bibi and her family. The lives of the three Supreme Court judges (who made the decision to overturn her conviction three weeks ago but held back from announcing it for fear of the consequences) are also at risk from fundamentalist Islamists intent on revenge. Within hours of the Supreme Court judgment, Afzal Qadri of Tehreek-e-Labbaik (TLP), an Islamist political party dedicated to punishing blasphemy, said the judges faced death. In January 2011, Salmaan Taseer, the governor of Punjab who had lobbied for a presidential pardon for Bibi and urged reform of the blasphemy laws, was shot in the back by one of his bodyguards, Mumtaz Qadri. The bodyguard was found guilty of murder and executed; tens of thousands of people attended his funeral in March 2016. A few weeks later, more than 70 Christians were killed in a suicide bombing at a church in Lahore on Easter Sunday. A month after Taseer was killed, Pakistan’s religious minorities minister, Shahbaz Bhatti, a Christian who spoke out against the blasphemy law, was shot dead in Islamabad. On Wednesday, TLP supporters took to the streets to protest against the supreme court decision (which found Asia Bibi innocent of the blasphemy charges) in cities including Karachi, Lahore and Islamabad, with major roads blocked. Officials urged people to stay inside. Many of Bibi’s supporters have been afraid to speak out for fear of reprisals. Amnesty International accused the Pakistani government of failing to take “effective measures to curb the campaign of hate and violence incited by certain groups in the country following [Bibi’s] conviction”. The state had shown “immense tolerance for the narratives of hate,” a researcher, Rabia Mehmood, told CNN. In July, campaigners for religious freedom were dismayed when former cricket star Imran Khan, who was running for prime minister, defended Pakistan’s blasphemy laws in the run-up to the country’s general election. Critics accused Khan – now prime minister - of using the issue to win support from religious rightwingers. “Imran Khan is a coward; he is supporting murderers and mob violence. This law is persecuting people, it is not respecting our prophet,” Shahbaz Taseer, the son of the murdered Punjab governor, told the Guardian. There are fewer than 4 million Christians in Pakistan out of a total population of 197 million. The vast majority of the population is Muslim, with Hindus the biggest religious minority.